The University of Wisconsin-Milwaukee’s Honors College has been an important part of UWM since its founding by Dr. Herman Weil, Professor of Psychology, in 1960. Set within the university’s large, urban setting, the Honors College offers all of the benefits of a small liberal arts college, with all the benefits of a major research university, to a select group of students. Originally open only to students in the College of Letters and Science, ultimately the program became available to all UWM students who come from a wide range of academic and cultural backgrounds reflecting the diversity of UWM’s student body. The Honors College faculty, many of whom have received prestigious teaching awards, are among UWM’s best. They lead small seminars, giving Honors students the opportunity to work closely with top scholars and educators, and because the College enrolls a limited number of students, Honors faculty and staff are able to give each student a high level of individual attention both inside and outside the classroom. The Honors College helps students develop the skills and confidence they need to succeed after college, whether in the professional world or in post-graduate education. In 2005, the Honors Program officially became the Honors College; this change raised the visibility and prominence of the program, but not nearly as much as the physical move from a wing in Garland Hall into the Honors House—the Honors College had a building of its own! Celebrating 57 years of Excellence in Education! Prior to becoming the Honors House, the building now occupied by Honors students and staff, was home to the Columbia College of Nursing. 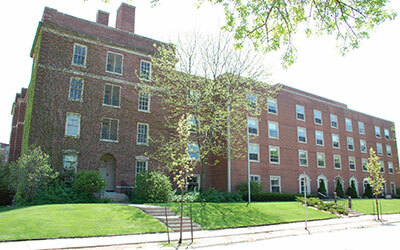 Many buildings housed the College of Nursing throughout its more than one-hundred year history. In 1923, the Copeland House was built to house 25 nursing students. It was known as the “annex” in later years, until it was demolished in 1999. Then, from the early twenties until 1954, a structure known as the “cottage” was used at various times for occupational therapy, an employees’ dormitory, and for nursing student classrooms. Surrounded by a well-tended lawn, it stood in what was the doctors’ parking lot at Columbia Hospital. 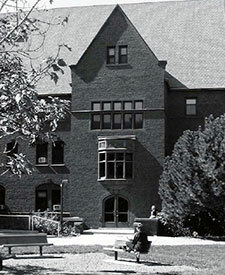 In 1956, an addition to the original 1919 building was completed, providing a laboratory, classrooms, office space, the nursing library, and a large living room, which later became the College Library. In 2011, when the Honors College took up residence in the “cottage” some things changed, but many stayed the same in an attempt to preserve the history of the building. The former Headmistress’s residence, although now broken up into separate rooms, houses Honors administrators, the library and living room remain centers of student activity, and several former classrooms continue to serve as classrooms. In the future, the Honors College hopes to offer Honors Housing in the upper floors of the building that used to house live-in nursing students, many of whom have made their way back the “cottage” and been thrilled that the building remains a center of student learning and, more important in their memories, a house—the Honors House.